Steven Spielberg is back to helm the actioner with Disney more than excited to pair the two together for another installment. Kathleen Kennedy, president of Lucasfilms, and Frank Marshall are on board to produce. The excitement for another Indy film comes on the back of crazy successful re-awakenings of favorite film series of ‘Star Wars‘ and ‘Jurassic Park‘. While Spielberg and Ford are back, there will be one absence felt by all involved. That comes in the form of George Lucas. 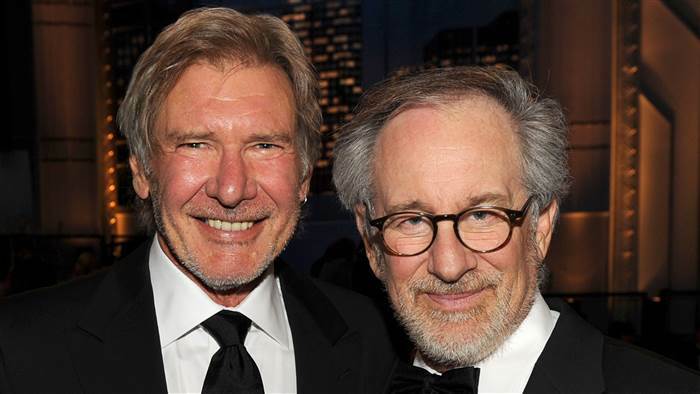 Spielberg and Lucas vacationed in Hawaii together after the first Star Wars film and came up with the idea at that time. Lucas was executive producer for series up to this point, when he sold Lucasfilm to Disney, this property transferred with it. This entry was posted on Tuesday, March 15th, 2016 at 5:42 pm	and is filed under Film, News. You can follow any responses to this entry through the RSS 2.0 feed. You can skip to the end and leave a response. Pinging is currently not allowed. « ‘The Big Short’ Writer Tapped To Pen Civil War Project For Amazon!! !